The latest smartphone from the Google-acquired hardware manufacturer is now official! 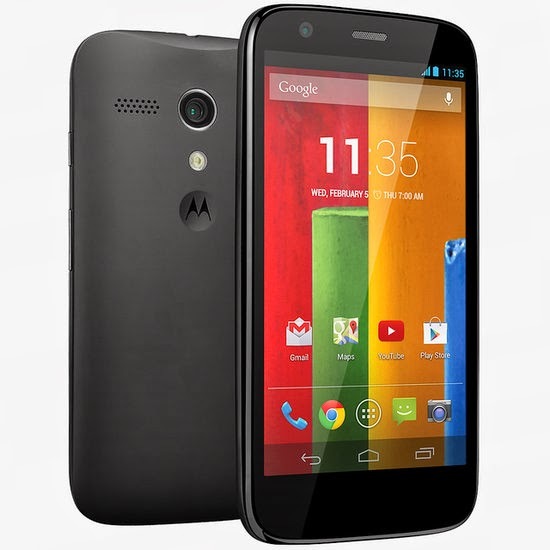 The Motorola Moto G is a sparkling brand new mid-ranger off from the "Moto" line and is being marketed by the Mountain View company to have an exceptional price. This 4.5-incher is treated with an HD LCD 1280 x 720p display (Moto X has AMOLED) which is packed with 329 ppi pixel density. Compared to it's older brother, Moto G is a bit smaller but adopts most of Moto X's design - the removable back plates with pink, black, blue, yellow, red and white hues. It is also slightly thicker and heavier compared to the latter. In the US, Moto G is priced USD 179 (Php 8K, more or less) on contract. Specs-wise, the "G" has a powerful 1.2 GHz quad-core Snapdragon 400, 1GB of RAM and 8GB/16GB configurations. Sadly, Google doesn't offer expandability options. Likewise, there's no wrist-snapping feature to activate you camera and subtle notifications here. The promise of the latest, Android 4.4 KitKat, is on the table which is a delight to software upgraders. However, it'll ship with Android 4.3 in the meantime. Cameras will have 5MP and 1.5MP (rear and back) sensors nonetheless. 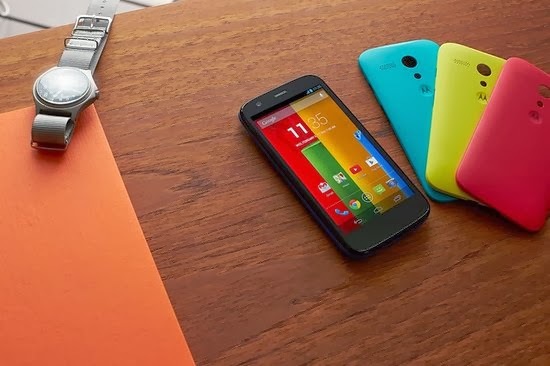 Moto G will be available in January in India, Middle East and US in January. There's no word if it'll come to the Philippines but the light of it being distributed in "select Asian countries" is a good thought.